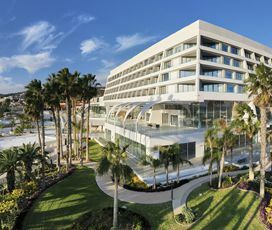 "There is plenty to do in this seaside resort; there are great shops, bars and restaurants, as well a vibrant nightlife. The new marina is a brilliant addition to this resort and a must-see for the evenings." 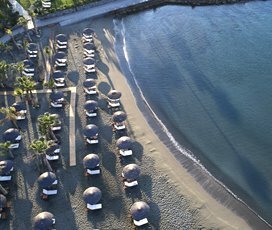 An excellent base from which to explore Cyprus, thanks to its central location, Limassol, has a wide selection of beautiful beaches, historical sites and other activities. 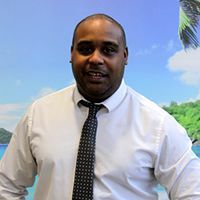 It is ideal for beach holidays, thanks to its predominantly sandy coastline and azure waters, with a temperate Mediterranean climate, which means that it is hot for the majority of the year. The stunning port city offers many sites of historical interest and is where King Richard the Lionheart married Princess Berengaria of Navarre in 1191, crowning her Queen of England. There are several interesting archaeological sites to visit in the area including the Ancient Curium, site of an ancient Mycenaean town, and Amathounta where a gentle climb up its Acropolis rewards you with incredible panoramic views of the sea, mountains and Limassol town. As it is large and well populated the main tourist area offers shops, restaurants, bars and a buzzing nightlife, while a quieter atmosphere can be found at the Old Town and the harbour, which shelters small fishing boats. With a variety of waterparks, theme parks and other activities it is great for family holidays, making your stay there unforgettable. 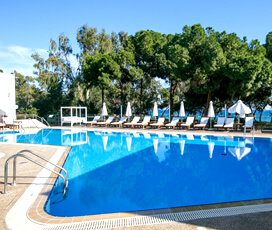 All of this ensures that Limassol is one of the finest holiday destinations in Europe. 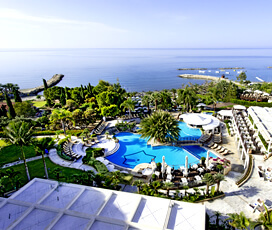 Limassol is located on the southern coast of Cyprus and is the largest city in the country in terms of geographical size. 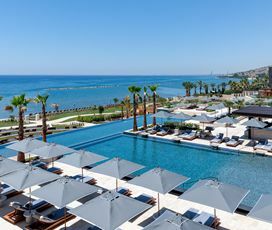 It is bordered by Larnaca to the East and Paphos to the West, meaning that it is easy to reach in approximately a 35-minute drive from both Larnaca and Paphos airports. It is also an excellent base to explore the rest of Cyprus thanks to its central location, with all major cities within reach and the Troodos Mountains around a 45-minute drive from it. This along with its sandy beaches and range of natural features makes it an exceptional luxury holiday destination. The city has a typical Mediterranean climate, which means that it has hot dry summers and mild winters, with temperatures ranging from 12°C in winter and highs of 30°C in summer. 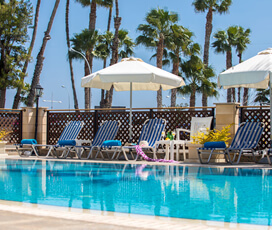 Hot weather comes to Limassol in April, with temperatures regularly rising over 18°C, though sun worshipers are best waiting until late May when the temperature averages over 20°C. The hottest months of the year are June, July and August, when the temperatures average from 24°C to 26°C, with the sea at its hottest during August when it averages 27°C. 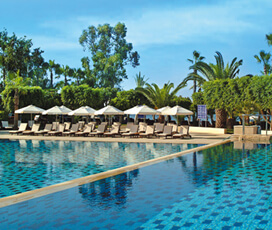 Undeniably Limassol has a rich and varied history and is located between the ancient towns of Amathus and Curium. It came to prominence when Richard the Lionheart destroyed Amathus, in 1191, and the residents of the ancient town were displaced to Limassol. From then on it became a prosperous Mediterranean Port town, and was owned by the Templars, becoming a significant religious centre until the Turks conquered in 1570 AD. This marked the end of Limassol's importance as a settlement, with the Ottomans not putting much by way of resources into the town. It was subsequently ruled by the British in 1860 and contains a number of important historical sites. Nearby are the ruins of the ancient city-state of Kourion a must-see for anyone interested in ancient history. The city encompasses traditional Cypriot cuisine, which has been greatly influenced by the many cultures and inspirations that it has been exposed to. This means that it provides things like traditional Greek dips, such as hummus and tzatziki, along with succulent kebab style grilled meats, fresh salads, crumbling white cheeses and rich olive oil. Its coastal location, means there is a bountiful range of fresh fish dishes available in the town, along with locally produced wine and Cyprus' favourite drink Ouzo. Simple homely, rustic and filling Cypriot food is delicious and sure to satisfy each and every taste. 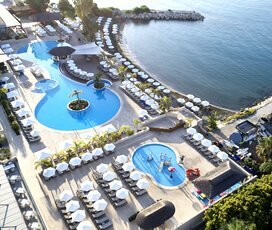 Limassol is also an international tourist hotspot, which means that you will find a vast array of Italian, Chinese, French and other cuisines there as well. 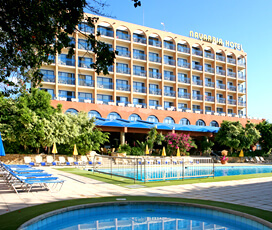 Treat the kids to a great range of activities, including: the Limassol Zoo, which provides a fun and educational day out for families; the municipal park that contains playgrounds and open space where kids can use up their energy; the Watermania waterpark that offers aquatic fun for people of all ages; The Arizona Indoor Adventure Park, located in Episkopi village close to Limassol, which contains electric go-karts and video games; and ten clean family friendly beaches, where everyone can enjoy some fun in the summer sun on their family holiday. Enjoy the many different festivals each year, including the Easter Festival of the Greek Orthodox Religion, which includes a large parade that takes place just before the period of Lent each year; Kataklysmos a water based festival that takes place 50 days after Easter and involves aquatic games and traditional dancing; Amathusia, which takes place in July and includes Cypriot music and dancing; The Limassol Wine Festival in September that celebrates local wines and pays homage to the Greek God of wine Dionysus; and a three-day beer festival in July that celebrates local Cypriot beer and has been running since 2003. 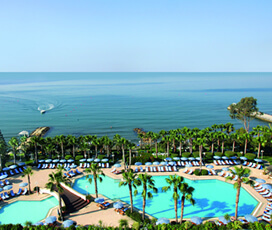 Due to its central location, you will be able to access the vast majority of Cyprus from it with ease. Nearby attractions include: the ancient town of Kourion that was destroyed by an earthquake in 365 AD; Amathus another ancient town destroyed by Richard the Lionheart in 1191; Platres, a picturesque village located in the hills, which provides beautiful natural scenery; Kolossi Castle, a well preserved Medieval Castle that offers panoramic views across the sea; miles of gorgeous sandy beaches, where people can relax or take part in watersports, diving and a myriad of other incredible activities. With a vibrant nightlife there are plenty of bars from which to choose from, and in many of them you can show up wearing just flip flops in hot weather. 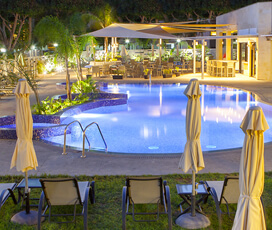 Coastline clubs cater more to tourists, whereas locals hang out in the Old Town area of Limassol. Most locals don’t venture out to the clubs until around 2 a.m.; hence many venues are open all night long. 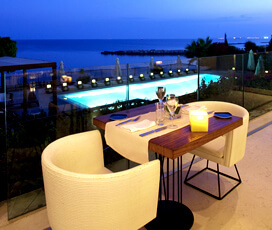 Additionally, there are many relaxing restaurants and tavernas, with sea views, where you can sit and talk long into the night, as well as some very chic bars - Limassol has something that everyone will enjoy.